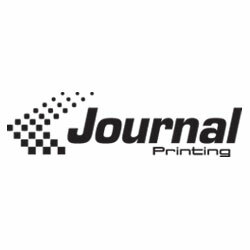 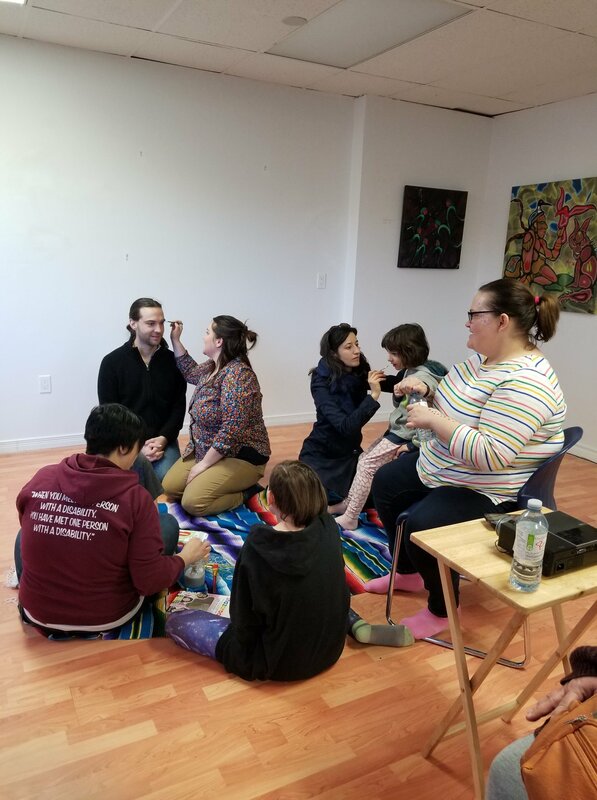 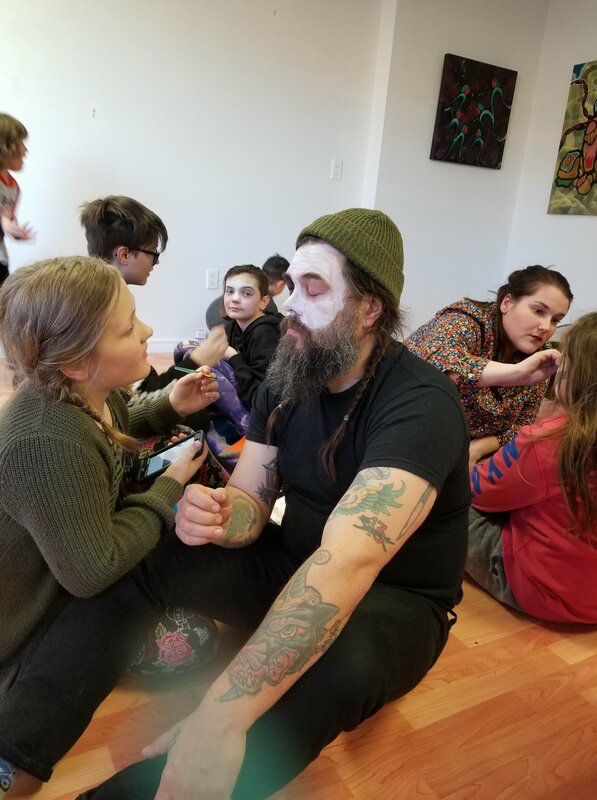 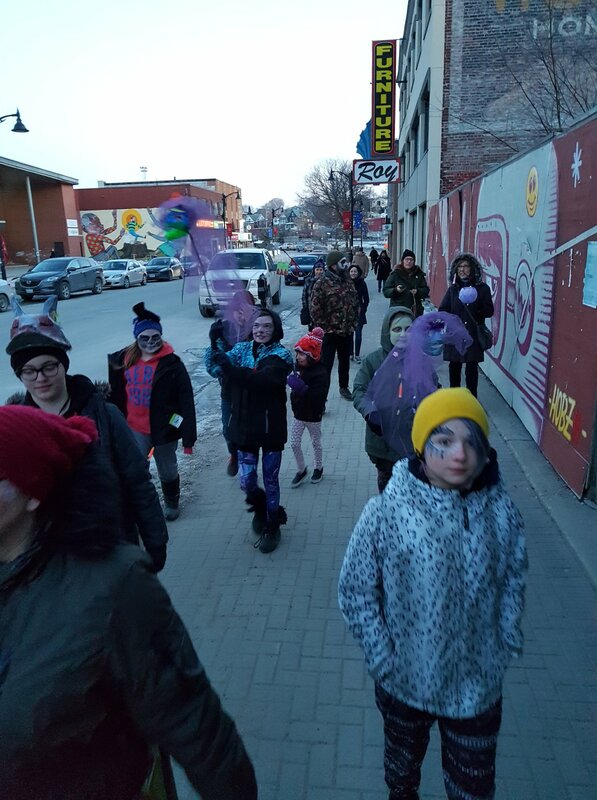 On March 20th, almost 30 people gathered at gallery and print shop Nishiin Print to say good-bye to Waking Light and welcome the Spring with a community celebration and parade. 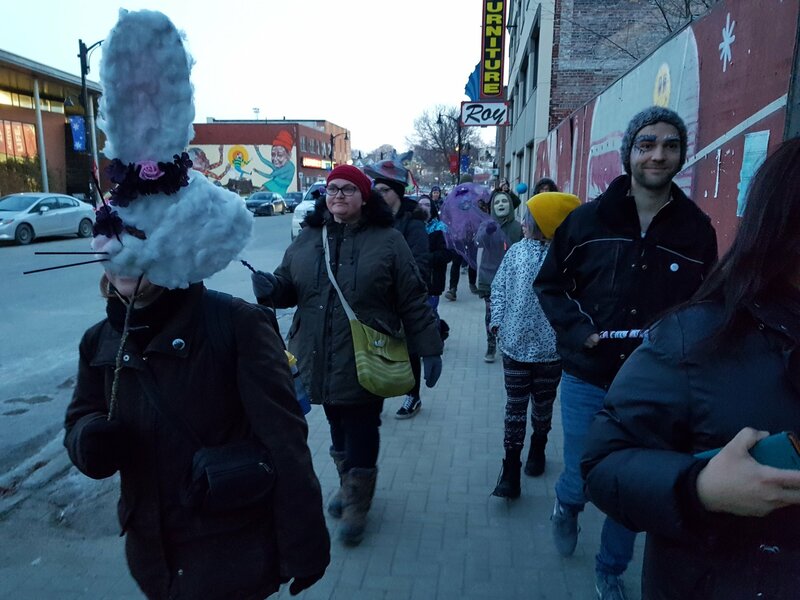 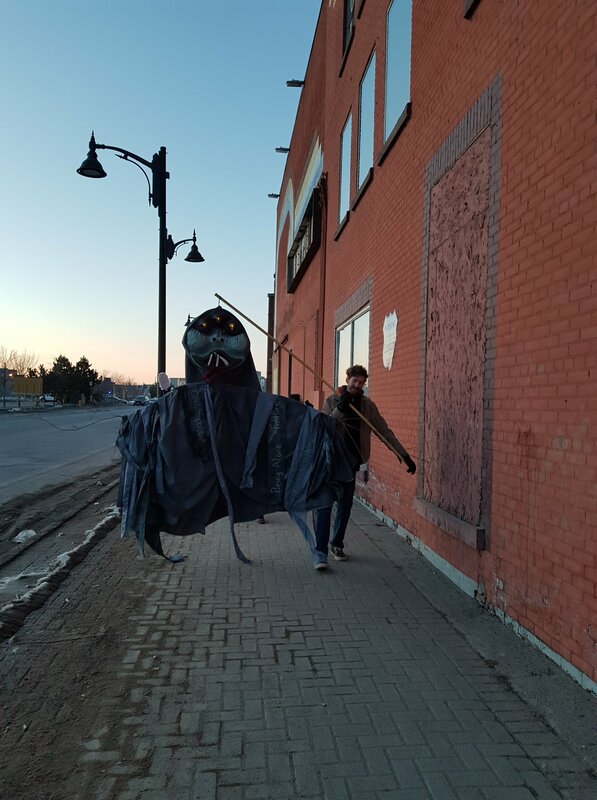 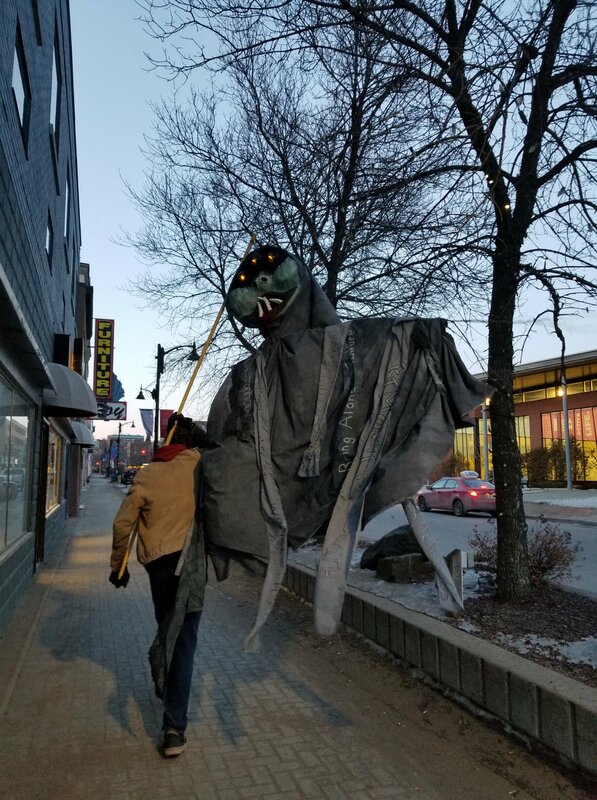 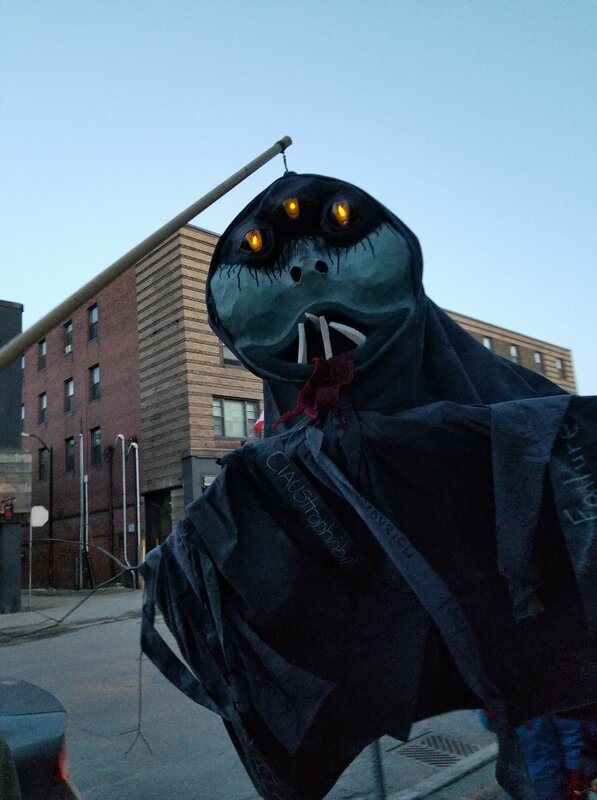 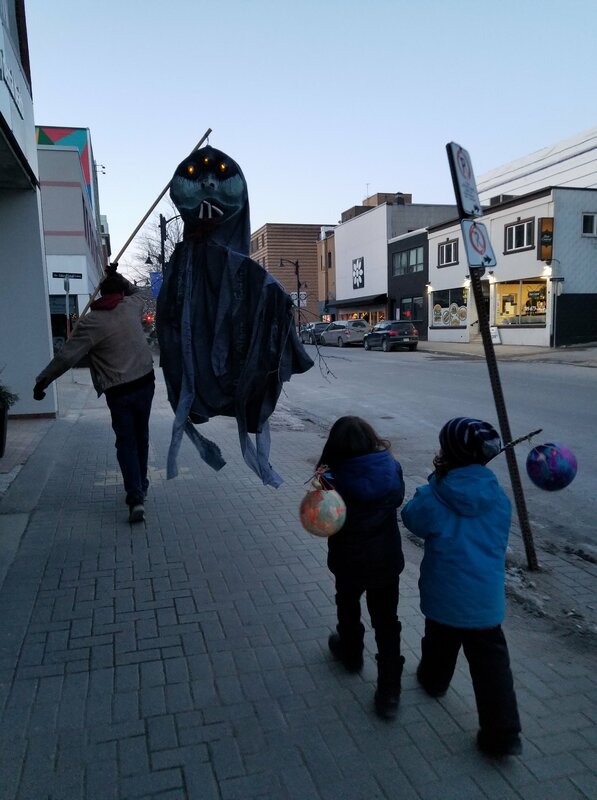 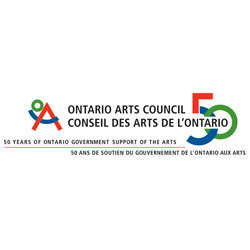 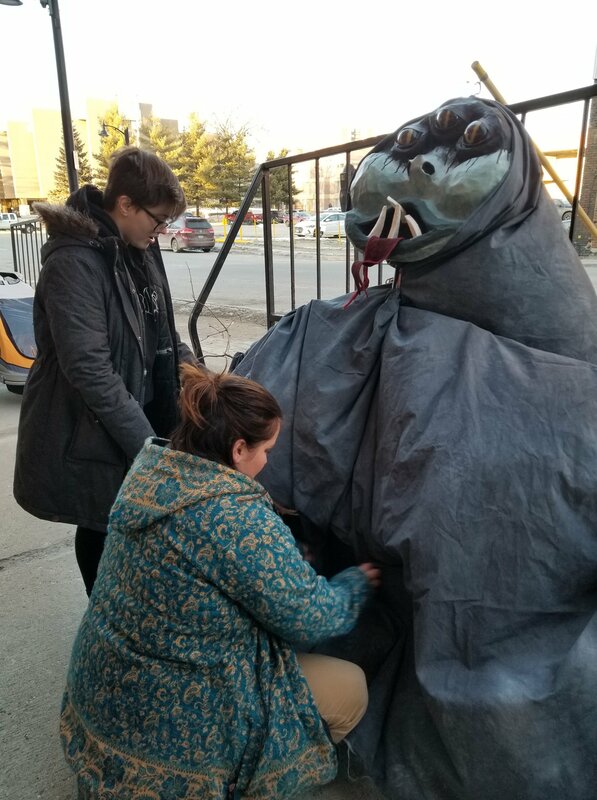 The puppet created during Waking Light workshops lead the parade and the group followed with masks and paper lanterns created by youth participants. 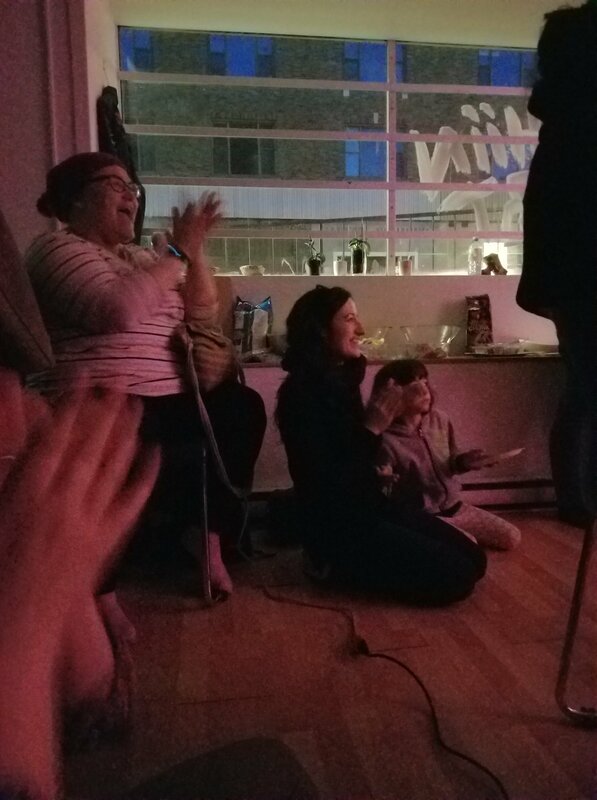 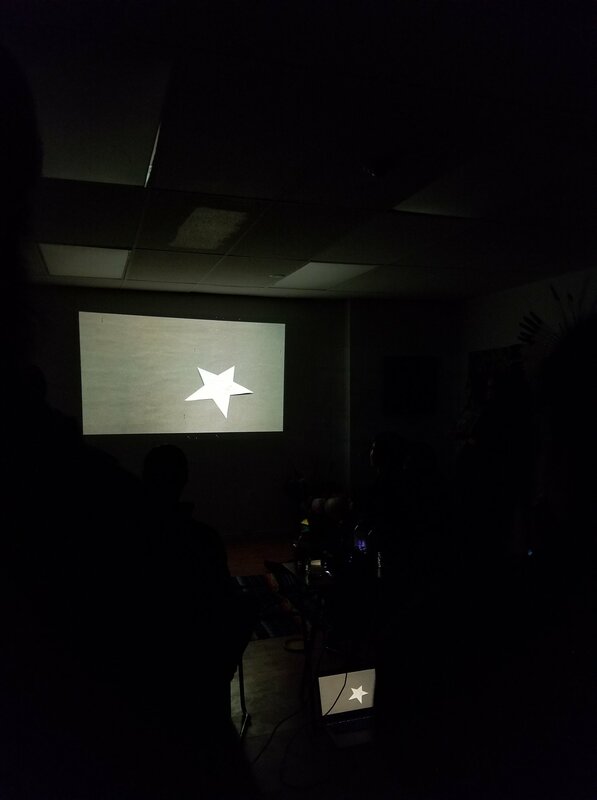 The evening also included a screening of the animations created at our introduction to stop-motion animation workshop with Holly from Near North Mobile Media Lab. 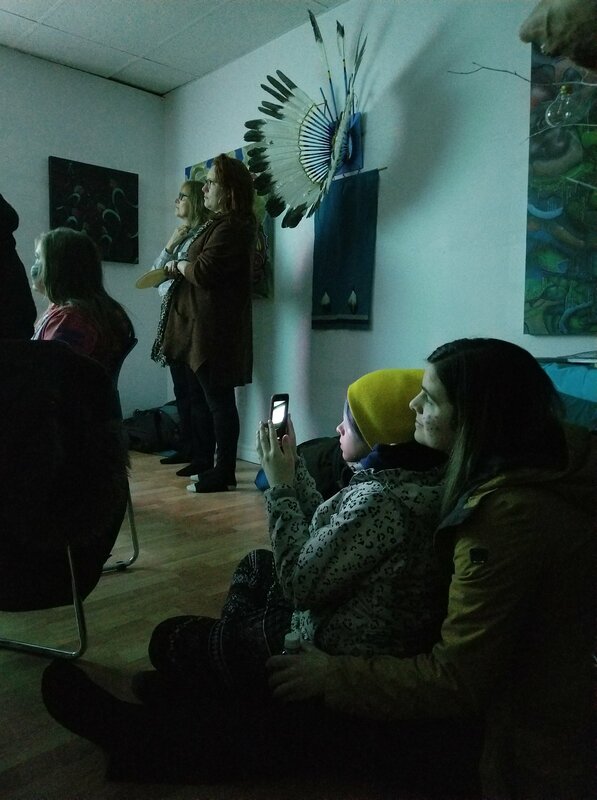 See more photos from Waking Light workshops on Facebook.